Our standard base is a great way to securely mount your tablet computer in your vehicle. It is designed to fasten to any one of the four mounting holes on the table, giving you a range of positioning options. 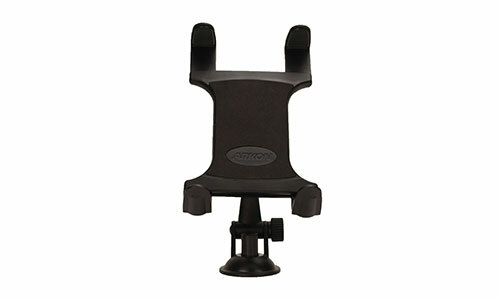 The adjustable arm allows for quick and easy height adjustment. Please note: the tablet mount is included in the ultimate companion package. The lightweight and strong cradle features a spring loaded mechanism that holds your tablet firmly in place and allows for it to be quickly added and removed. Includes extra support legs of various sizes that enable it to accommodate devices ranging from 7″ – 12″ in size. The swivel feature allows you to rotate your device 360 degrees for portrait and landscape viewing.